Jedastar will be staying on home soil for the rich local two-year-old races after recording an impressive debut win at Flemington. Trainer Lloyd Kennewell immediately ruled out a trip to the Gold Coast for the Magic Millions 2YO Classic on January 12 after the filly out-sped her rivals in Tuesday’s New Year Plate (1000m). 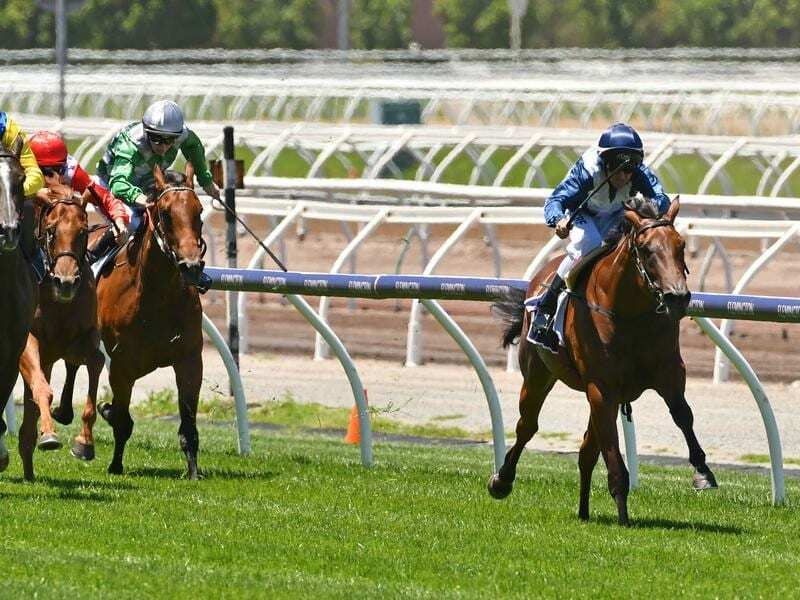 Kennewell said the filly would head to Merricks Station on the Mornington Peninsula on Wednesday to “let her hair down” for three or four days before being prepared for the fillies division of the Blue Diamond Preview (1000m) at Caulfield on January 26. Ridden by Joe Bowditch, Jedastar was backed from $17 to $13 before scoring a 2-1/4 length win over Enood ($9.50) with For Love ($10) 1-1/4 lengths away third. “I don’t think she’s mentally ready for the Gold Coast,” Kennewell said. Kennewell went to $250,000 to secure Jedastar at the Gold Coast sale last January and was determined not to leave without her. He has a number of horses by I Am Invincible in his stable and says the filly is a precocious type that fits his criteria. Bowditch described Jedastar as a “hot-headed little thing” and her manners on Tuesday determined how she performed. “They’ve got to have a good attitude to make it as a racehorse and hers was spot-on today,” Bowditch said.